Welcome to Episode 39 of HACCP Mentor Review, I am Amanda Evans and in this episode we are going to cover what is the purpose of a glass register, identifying different hazard categories, challenging your metal detector and a great link to a food defense plan template. The big picture is to control glass getting into our product either directly or indirectly through breakage or damage. The purpose of a glass register is to identify and list everything within your food business production areas that contain glass. We want to know where all of these items are located so we can routinely check that the glass item or glass component has not been damaged. Areas to make sure you consider and list include temperature gauges, light fittings, equipment control panel covers, clock faces, production windows and viewing windows in doors. 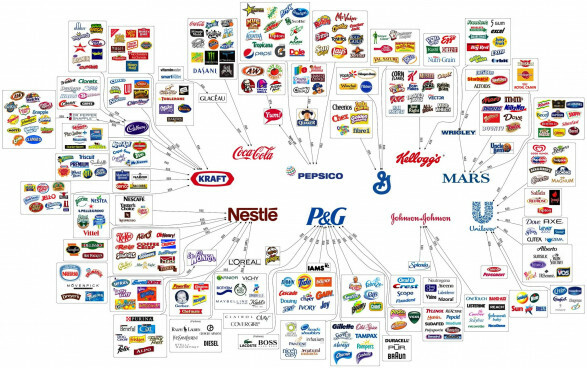 I found a fantastic graphic this week that gives an overview of the network of ownership of many of the world’s most famous food brands. Check it out in the transcript to this episode. The action item for this episode is to check that metal detectors are operational by inserting different types of metal into finished product and passing through the detector. This is a great way to get a true indication if you metal detector can actually pick up common bits of metal items that are found within your food business. All of the GFSI standards require you to undertake and document a hazard analysis as part of your food safety and food quality system. At the very least, Codex HACCP requires the hazard categories of biological, chemical and physical hazards to be identified assessed and controlled within your food business. The other categories that your may need to also address are quality, regulatory, environmental, occupational health and safety, financial and allergens. Allergenic hazards may be currently captured within your chemical hazards. Check with your certification standard to see what hazard categories that you should be identifying. In the past you may have included allergens in with chemical hazards and regulatory in with quality hazards. I find that separating them out helps me not to forget that I need to address all them at each step in the production flow process. If you are looking for a template to develop your food defense plan check out the Food Defense Plan Builder that is hosted on the USFDA website. The builder allows you to put together a plan which is applicable and tailored for your food business site. I have put a link in the transcript to this episode so head over to HACCP Mentor website to grab it. Well that wraps up episode 39 of HACCP Mentor. It has been a pleasure putting it together for you. As always, I would love your feedback so please leave a comment below. Until next time, I am Amanda Evans from HACCP Mentor.com. Have a great week! How good is your glass register?